Have you always dreamt of being a homeowner but weren’t sure if it was possible because of your job? Well, if this is you then your local Hamilton mortgage broker has some good news! If you are self-employed, obtaining a mortgage is not out of the question. To help provide some insight, our team here at Canadian Mortgage Authority have explained how mortgage options for self-employed Canadians have become easier to achieve. Historically, obtaining a Hamilton mortgage was difficult for those who were self-employed. Bankers and may Broker have a hard time approving mortgage applications submitted by self-employed Canadians due to their unpredictable, and sometimes uncertain, income, which is a large part of what lenders look at. They want to be sure their investment will be recuperated (in the form of a mortgage that is fully paid back) so they are looking for what they deem “sound” investments. We have several avenues to help you out depending on your individual situation, even when dealing with high ratio mortgages where you have less than 20% downpayment. According to the Canadian Mortgage and Housing Corporation (CMHC), though, this is all changing for self-employed individuals. CMHC is making it easier for lenders to approve applications who have been self-employed for less than two years or for those who do not have the most stable income. There are also more documents available for mortgage brokers to review and accept, making it easier for those who are self-employed to get approved for a home loan. These additional documents can help satisfy certain income and employment requirements that lenders need in order to approve an applicant. These new changes were implemented in October 2018 and can now be utilized by self-employed Canadians to make their dreams of homeownership a reality. 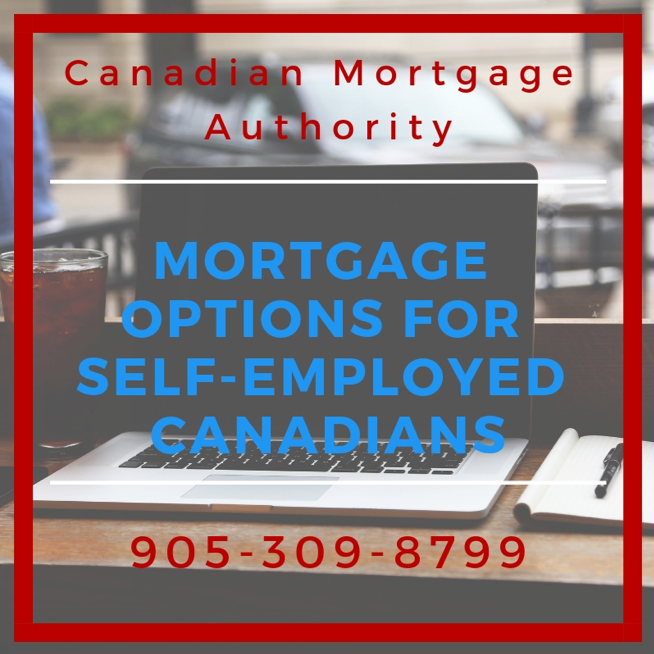 If you have any questions on how to get approved for a mortgage as a self-employed borrower or if you are ready to begin your home loan application, please contact your local mortgage broker in Hamilton, the Canadian Mortgage Authority team, at 905-309-8799.